Alfa Romeo MiTo PDF Workshop and Repair manuals, Wiring Diagrams, Parts Catalogue, Fault codes free download! Alfa Romeo MiTo (Series 955) is a three-door luxury supermini of the Italian car company Alfa Romeo, officially presented on June 19, 2008 at the Sforza Castle in Milan. The international debut took place at the British Motor Show in 2008. The car was immediately available in all major markets of Alfa Romeo from July of the same year. The three-door hatchback with the front drive was supposed to create competition in the market of MINI and the new Audi A1. 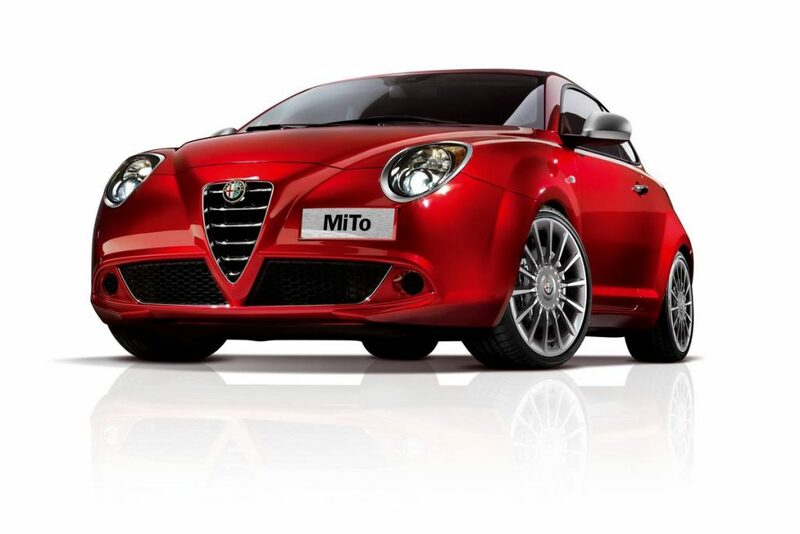 MiTo was developed by the Style Center Alfa Romeo, and the design was inspired, as it should, from 8C Competizione. MiTo is built on the Fiat Small platform, which is also used on the Fiat Grande Punto, and is also used on Opel / Vauxhall Corsa D. In the period from 2008 to 2012, about 200,000 cars were produced. The car is equipped with a new system “Alfa DNA”, which allows the driver to choose three modes of different driving systems: Dynamic, Normal and All-Weather. This system controls the behavior of the engine, brakes, steering, suspension and transmission. MiTo is also equipped with LED tail lights and has 250 liters of luggage space. Another feature of the MiTo is the electronic differential Q2 on the front wheels, which is activated via the DNA switch in the Dynamic ride position. It allows faster and more rigidly to pass the turns without losing traction. GTA (Gran Turismo Alleggerita) – sports version of the MiTo was introduced in March 2009 at the Geneva Motor Show in the form of a concept. Concept car had a 1.75 liter turbocharged engine with direct fuel injection and a phase variator for intake and exhaust camshafts. The maximum power was 240 hp. (177 kW). The MiTo GTA concept developed a top speed of 250 km / h (155 mph) and accelerated from 0 to 100 km in 5 seconds. The weight of the GTA was reduced due to the use of a hydrocarbon fiber in the rear spoiler, car roof and rear-view mirrors. Aluminum was also used to reduce weight. The suspension of the car was understated by 20 millimeters in comparison with the standard modification and the concept received an active suspension. Quadrifoglio Verde (Russian Four-leaf clover) – version of MiTo, first introduced at the Frankfurt Motor Show 2009. Quadrifoglio Verde is traditionally the top line in the model range from Alfa Romeo. The QV version has a new 1.4 liter Multiair engine with 170 hp. (125 kW), a new specially designed suspension, steering and a new 6-speed C635 transmission developed at Fiat Powertrain Technologies (FPT). The new multiair technology allows to keep fuel consumption at 6 liters per 100 kilometers in the EU in a combined mode, and the CO2 emission level is 139 g / km.